Dr. Abbey Gaske always appreciates feedback from her valued patients. To date, we’re thrilled to have collected 7 reviews with an average rating of 5 out of 5 stars. 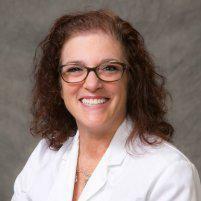 Please read what others are saying about Dr. Abbey Gaske below, and as always, we would love to collect your feedback. Friendly. Easy. No long wait before being seen. A+++!!! Dr. Gaske was very friendly. She took the time to thoroughly explain my operation. The procedure went as expected and I have healed nicely. Thank you. The doctors and staff are very friendly and compassionate. They answer all my questions and make sure I am well taken care of. Dr. Gaske was amazing! She took her time to explain everything.